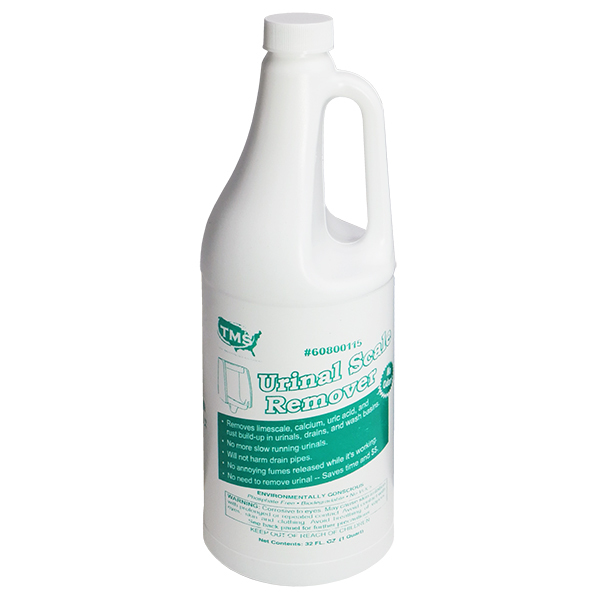 Removes limescale, calcium, uric acid, and rust build-up urinals, drains, and wash basins. No more slow running urinals. Will not harm drain pipes and no annoying fumes released while it's working. Environmentally conscious and phosphate free, biodegradable and no VOC's. No odor and no need to remove urinal -- Saves time and money! Case comes with twelve (12), one (1) quart bottles. Click here to download the MSDS document.